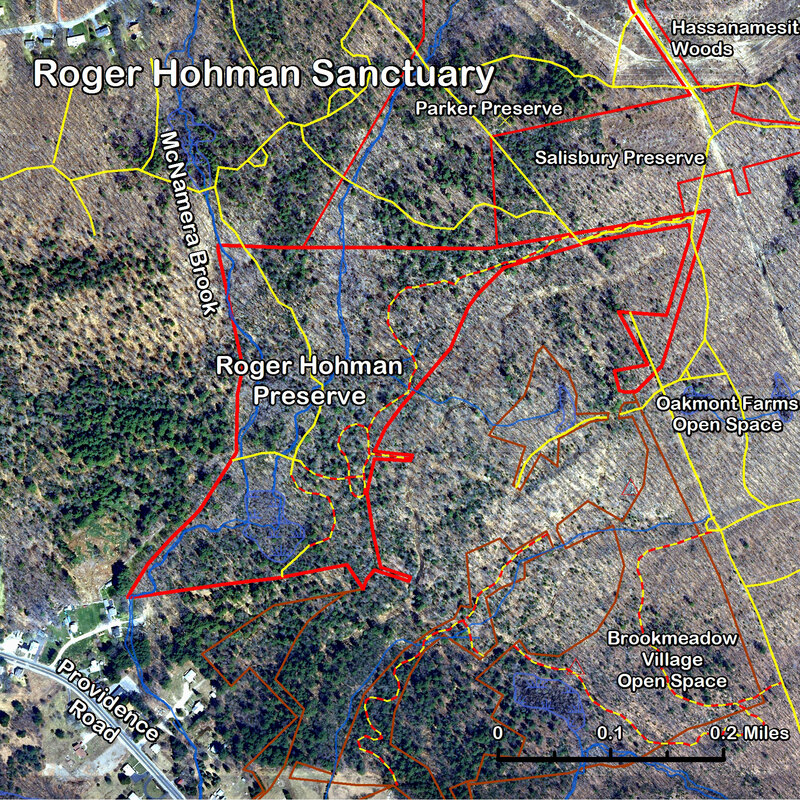 The Roger Hohman Sanctuary is part of a network of contiguous open space located in south east Grafton. 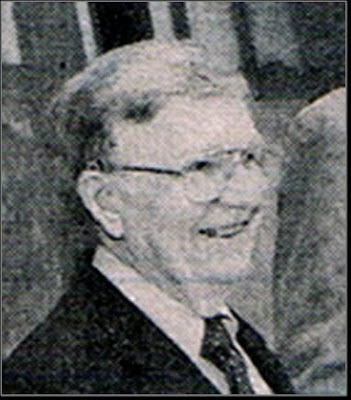 William Burrill, principal of Brookmeadow Village LLC. As part of th Brookmeadow Village limited development plan, Brookmeadow Village LLC agreed to designate two large, 30+ acre parcels of open space and several smaller areas. In 2007, the northeastern, 32 acre "Open Space B" that abuts both the Marsters and the Salisbury Pres erves was donated to the Grafton Land Trust. The parcel deed includes a conservation restriction and a historical restriction. This parcel is named in honor of long-time land steward, former President and Board Member of the Grafton Land Trust, and community activist Roger D. Hohman. 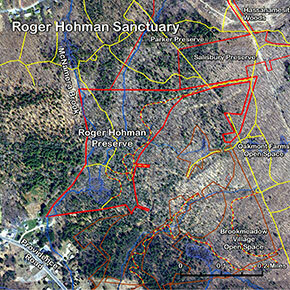 Roger Hohman is originally credited with pointing out the historical importance of the 200-acre property on Keith Hill now known as Hassanamesitt Woods - the site of Rev. John Eliot's 17th century Praying Indian Village - which is now contiguous with the Roger D. Hohman Sanctuary. In addition to the beauty of this parcel, and its border to Hassanamesitt Woods, it is also historically important for its 17th century foundations and well.